Mr. Berlin is probably the first store that specialises in selling German currywurst in Singapore. 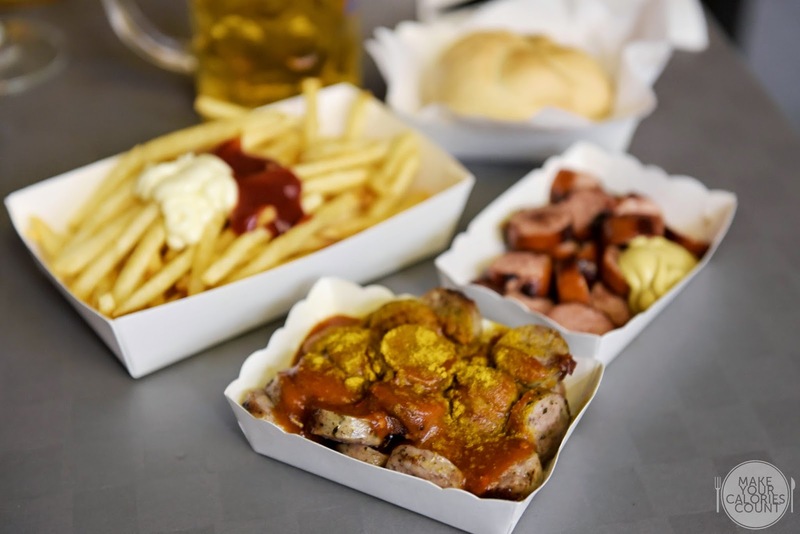 An iconic street food of Berlin, Germany, currywurst is actually grilled pork sausage often cut into slices and seasoned with ketchup sauce that topped with curry powder. Opened for just over three months now, Mr. Berlin is located right beside Asia Square in the bustling CBD area. 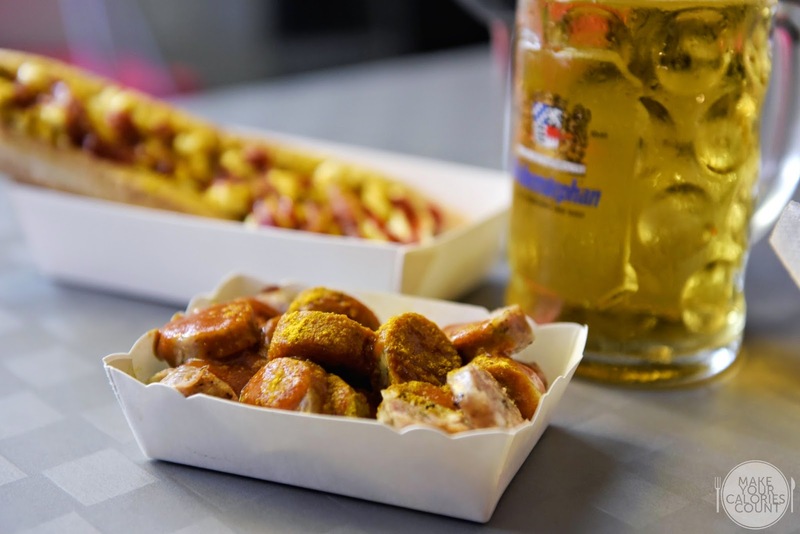 It is an easily accessible after-work-chill-out place for the folks in the area, not forgetting that German sausages go perfectly fine with beer and wine! 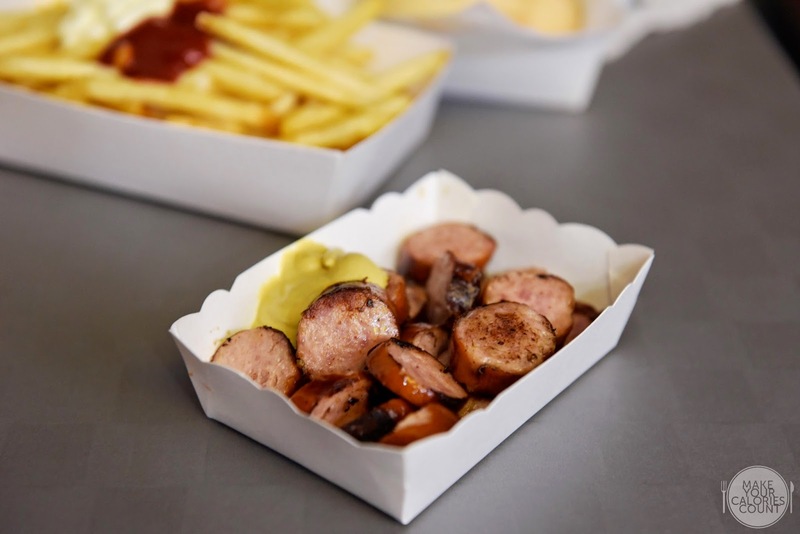 For the Original German Currywurst set, customers can simply choose between Chicken or Pork sausages and curry up by customising the spice level of curry ketchup from the lightest to spiciest. With three spice levels to choose from starting with "Berlin Calling", the more adventurous can choose "Go West" or even "Break the Wall" just to test your limits! Then, choose a side to complete your meal, with a choice of either the Classic Fries "red/white" (served with ketchup and mayonnaise which lend the dish its name) at S$12.50/- or German Bread Roll (at the back of the photo below) at S$10.90/-. Good quality, well-marinated sausages and tomato paste could be tasted, the dish contained a mix of tangy, sweet, spicy and savoury flavours which made us pop one by one into our mouth unknowingly! If you have high tolerance for spicy food like us, "Break the Wall" spice level might just be a peanut for you, so do not worry too much and just go for it! 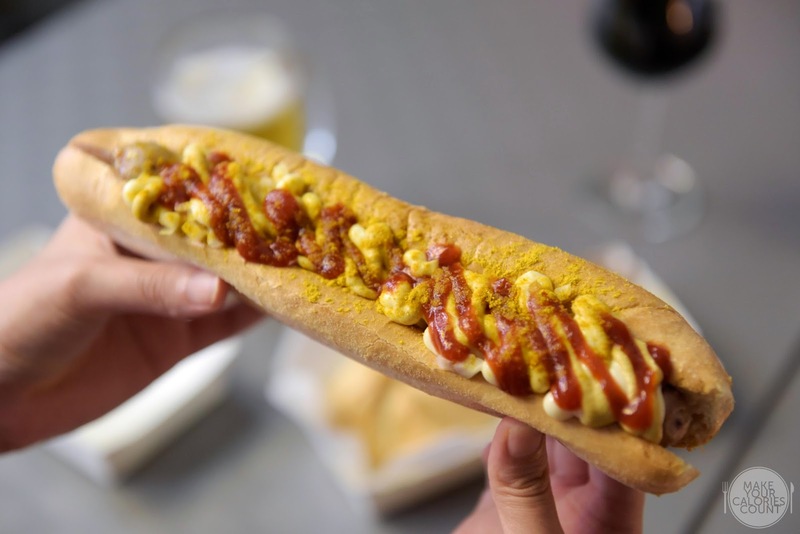 Similar ingredients were used in the currywurst dish except that ketchup, mayonnaise, curry powder and minced onions were garnished on top. A simple comfort food that would satisfy your late night cravings for fast food. I liked their freshly baked organic bread roll stuffed with a Nuernberger veal sausage which was crisp on the outside and soft on the inside. This sausage was rather normal compared to others, sliced pork sausage oozing out with cheese which paired perfectly with mustard, it certainly satisfied cheese lovers like myself! Some might find the price is slightly hefty, but the fine quality ingredients used was well justified. If you are not familiar with the area, it might take some time looking around as Mr Berlin is inconspicuously tucked away at a corner but the crowd on a Friday evening would certainly draw one's attention given that the area tends to be rather quiet after work hours. For those whose office is just around the area, be sure to check out Mr Berlin for these authentic sausages surely made our calories count! On a side note, all food photos were taken with Nikon D750, thanks to Nikon Singapore! P.S. Special thanks to Josephine for the invitation and Mr. Berlin for having us!